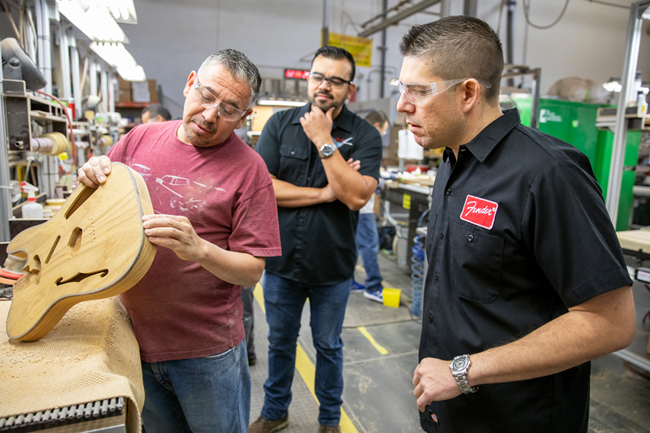 Sal Montes is quite clear about what Fender is aiming for: “We want to be the center of excellence in small batch production and customized guitars,” he says of the Corona, California, production facility. The focus on quality means that if three defects show up in a row on the factory line, the line closes down until a solution is found. That simply is not the case in an industry that is often so volume-driven. “We’re seeing that the customer wants custom guitars. They don’t want a guitar that anyone else has,” Montes says. 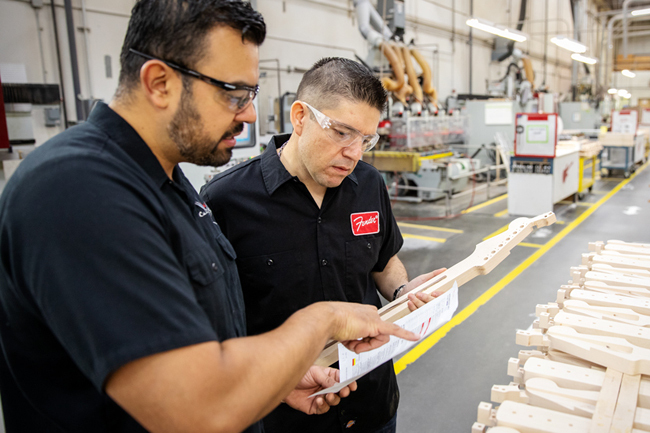 He believes that Fender CEO Andy Mooney’s focus on Corona’s small-batch quality production is a winning plan, and aerospace’s rigid focus on safety makes this quality approach one Montes is well-versed in. Montes’s background is also applicable in helping to create a perpetual-training organization. 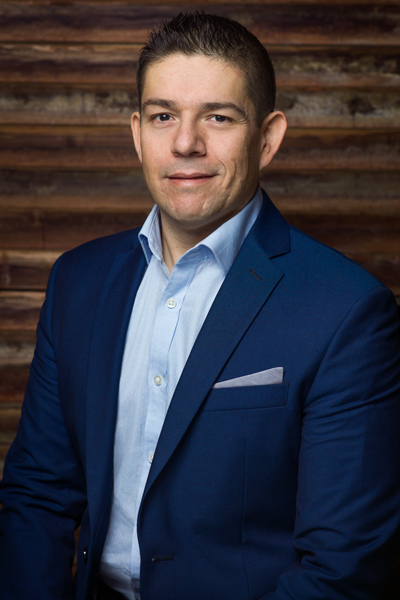 “We want to make sure we have the proper certifications and do a good job of keeping our talent and training organized,” he says. “What is critical for us in that training is to keep creating and developing problem solvers at every level of the organization.” To do this, every employee should be able to not only recognize a potential problem, but also use specific methodology to solve it. “Music is about family” is more than a motto for Sal Montes. Music helped him figure out where he belonged early in his life. “I wasn’t very sporty,” he recalls. “My parents tried to get me to play soccer, but I was following ants instead of following the ball.” Once he started taking guitar lessons at age ten, he realized he had found a calling. He met his wife while playing his own Fender guitar in a wedding band. The band started doing so well he actually considered leaving his job to gig full-time. But when thinking about starting a family with his wife, Montes decided it made more sense to raise a family from home than from the stage. “When I was contacted by Fender in 2017, I thought it was an amazing opportunity to bridge my operational side and my love of music,” he says.